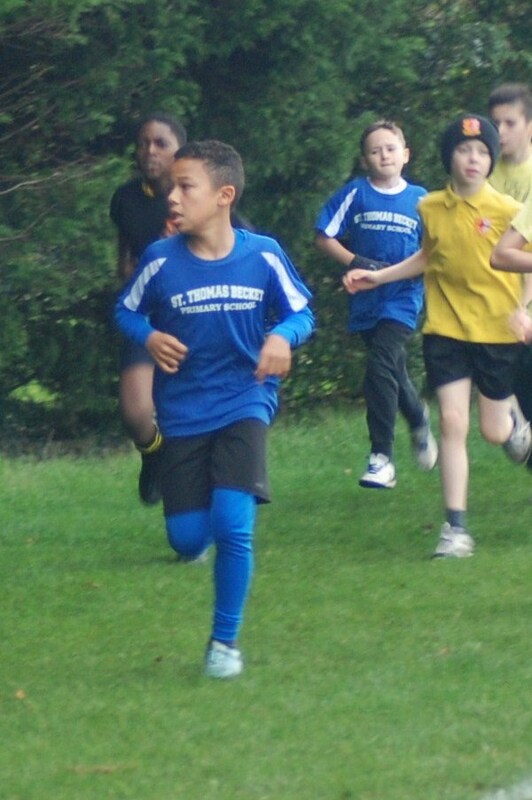 On Friday 20th May, the Year 5 and 6 swimming team went to St Joseph’s Secondary School to compete in the Catholic Schools Gala. 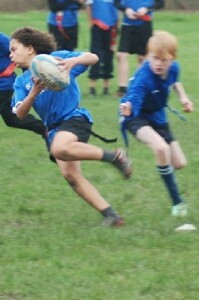 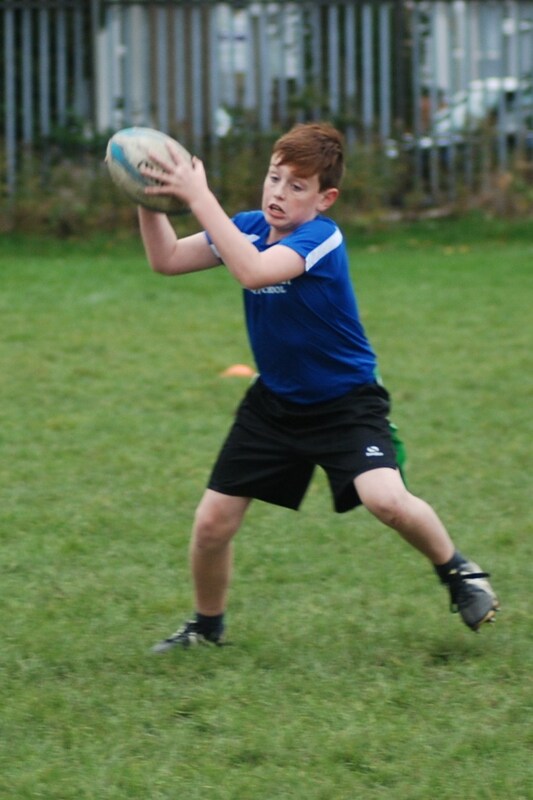 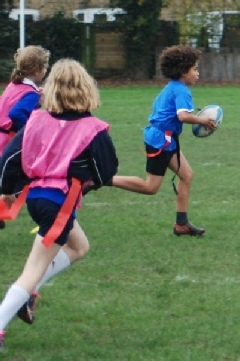 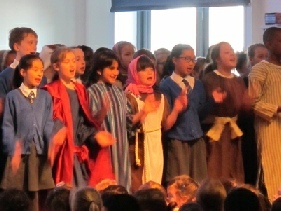 As always the standard was very high and the children had their work cut out for them! 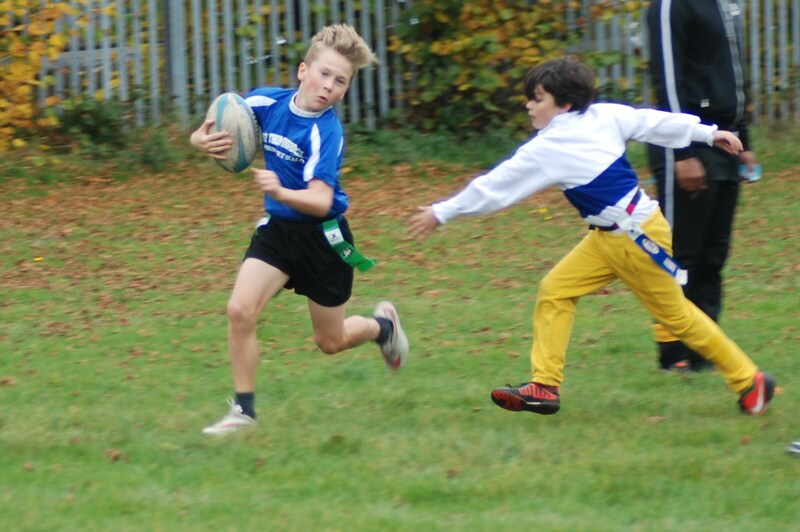 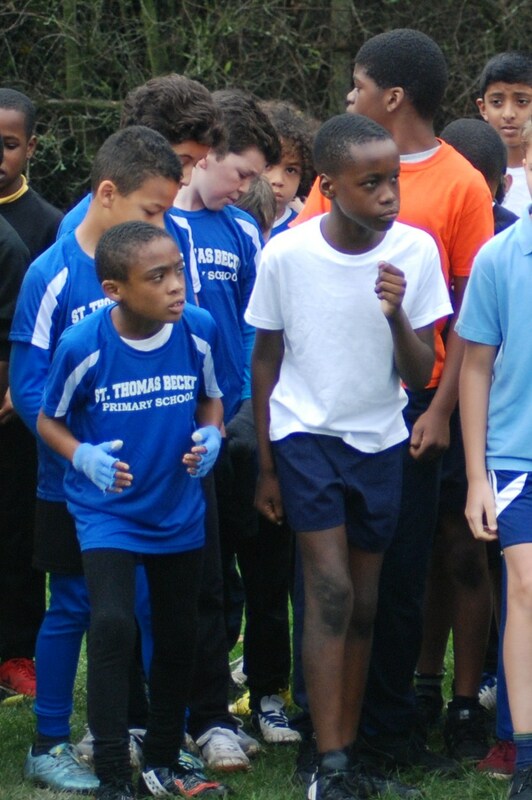 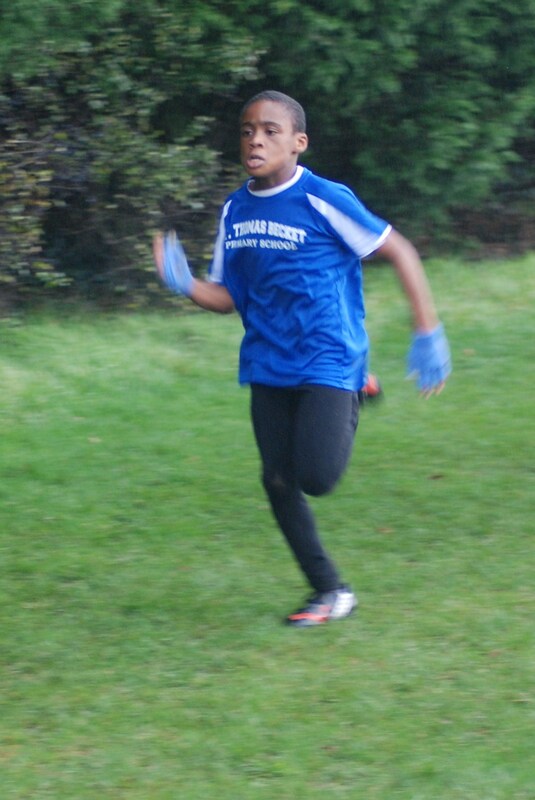 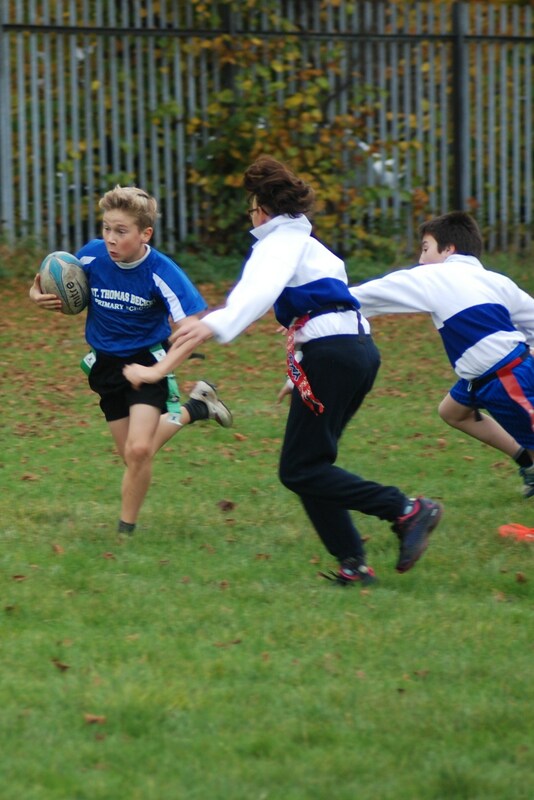 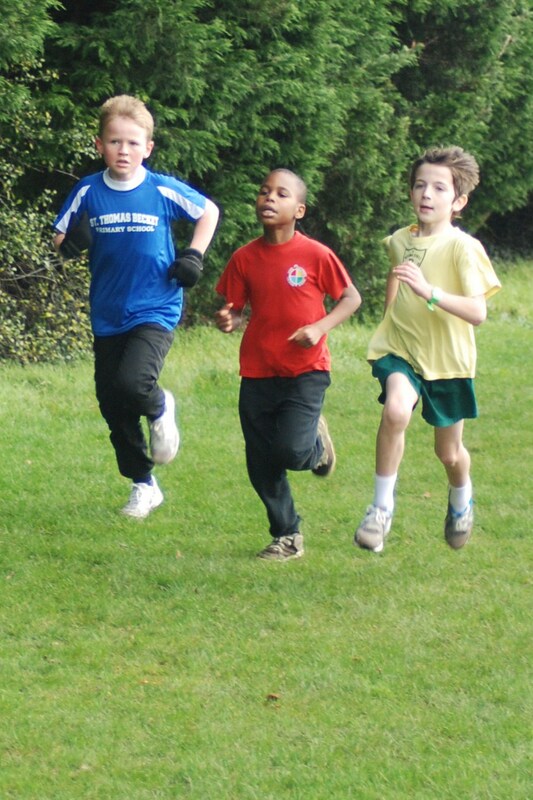 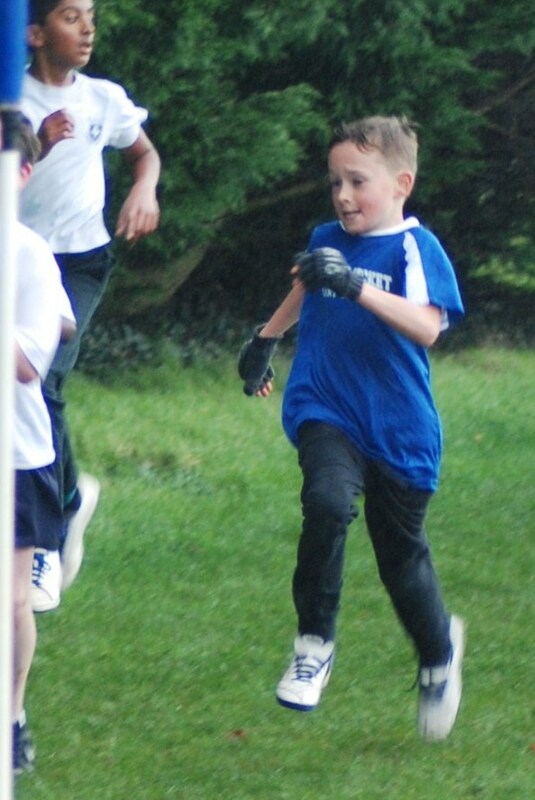 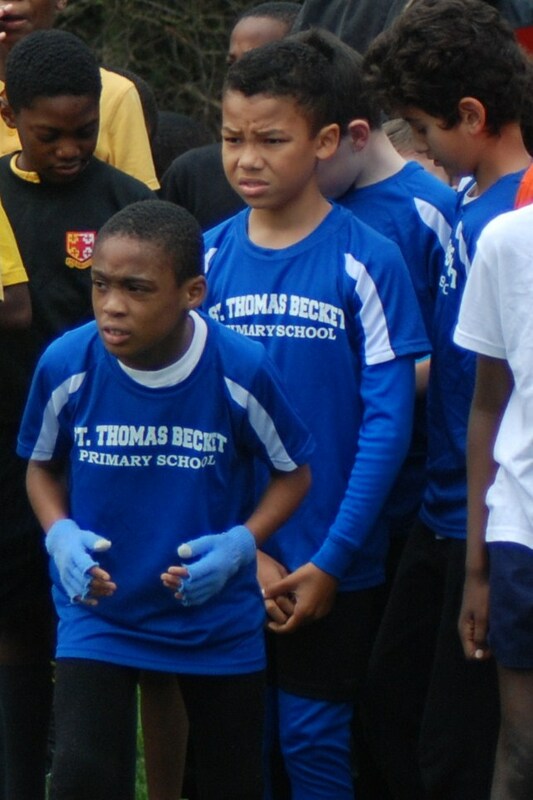 The final race was the Boys Relay and it was a nail-biting finish with the Becket boys winning, literally by a head. 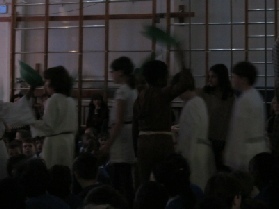 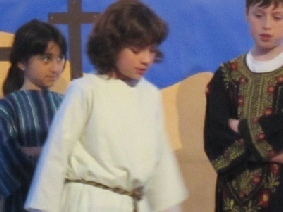 Overall St Thomas Becket came joint first, along with Margaret Roper. Well done to the whole team and a big thanks to Jane who has been training the team over the past few months. 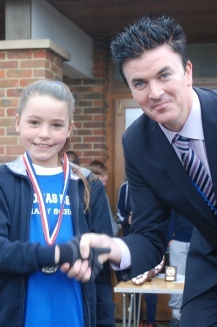 As a school, we are well known for our swimming achievements as we have won many competitions over the years and on Tuesday 26th January, another competition was upon us! 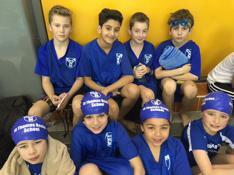 Nine schools in total participated in the Croydon Swimming Gala which was held at South Norwood Swimming Pool. 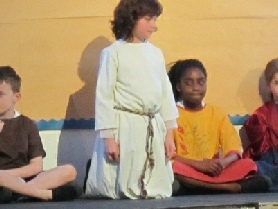 Thirty-eight children from Key Stage 2 represented St Thomas Becket at the Gala and put into practice all their hard work they had been putting into their training sessions. 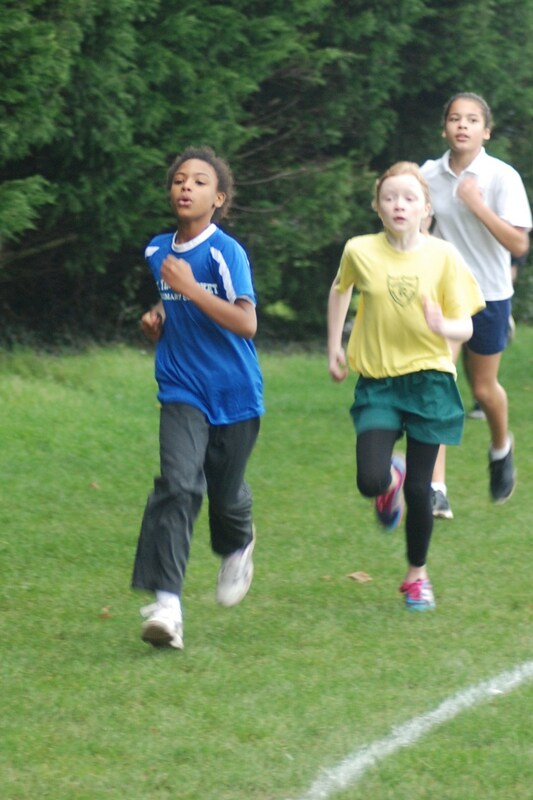 The competition this year was extremely tough and the result was always going to be a close one! 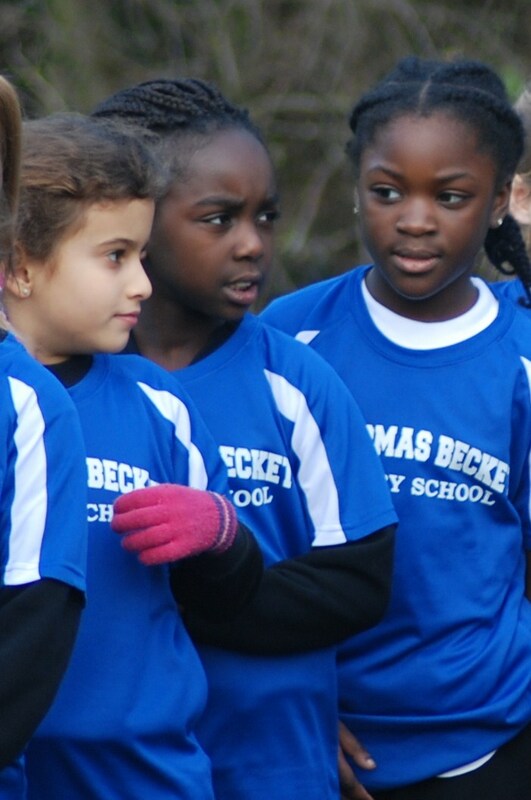 But yet again that ‘Becket spirit’ gave us the extra edge and it was another victory to the swimming team....first place! 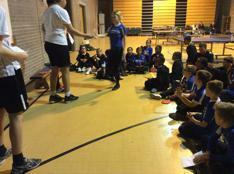 A big thank you to all the parents who came out to support the children and a special thank you to Jane, the team’s swimming coach who has been working so hard with the children in training sessions over the past couple of months. 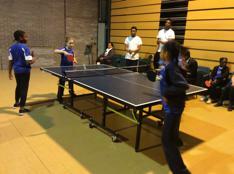 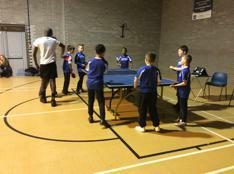 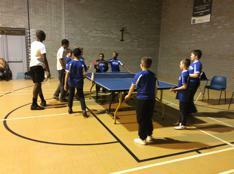 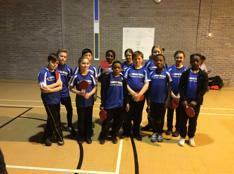 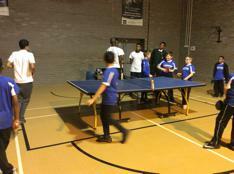 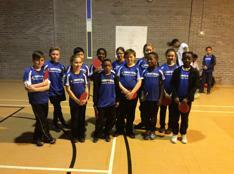 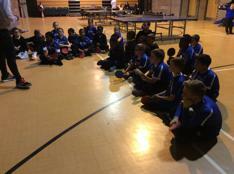 On Monday 18th January sixteen children from Years 5 and 6 went to Harris City Academy in Crystal Palace to take part in a table tennis tournament. 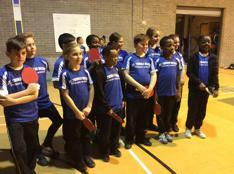 It was the first time as a school that we’ve entered in a table tennis competition and all of the children were really excited about representing St Thomas Becket. 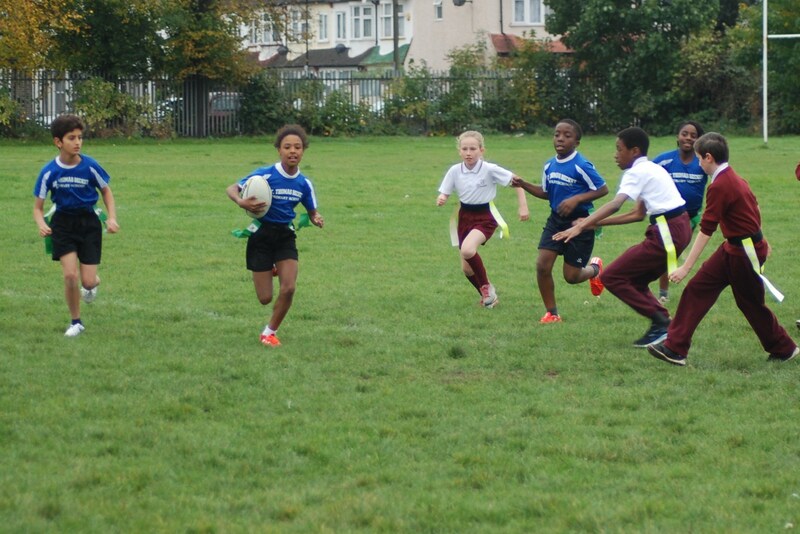 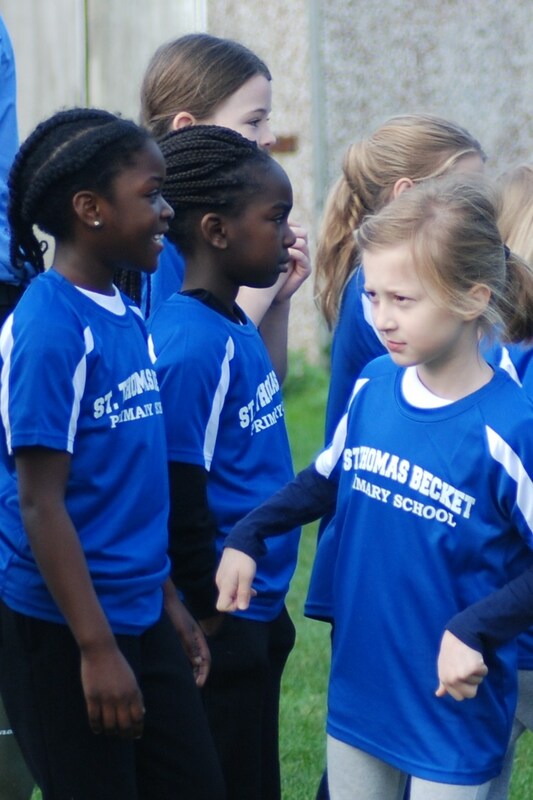 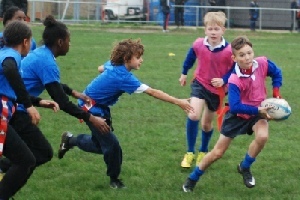 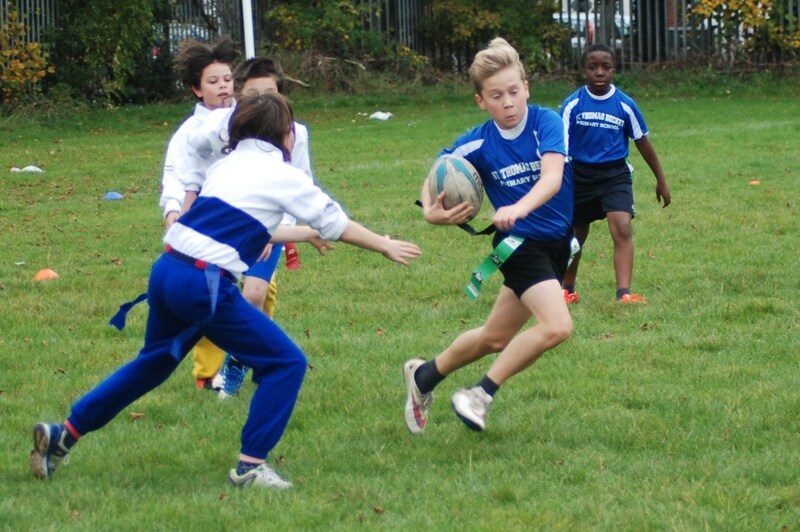 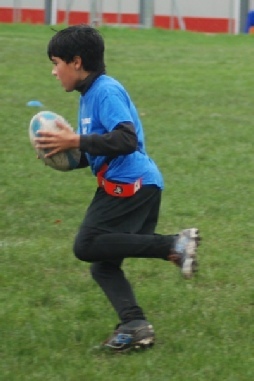 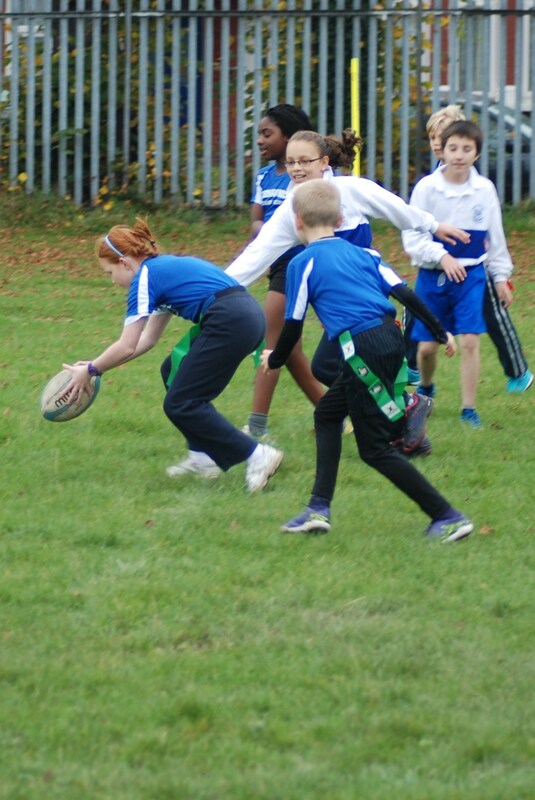 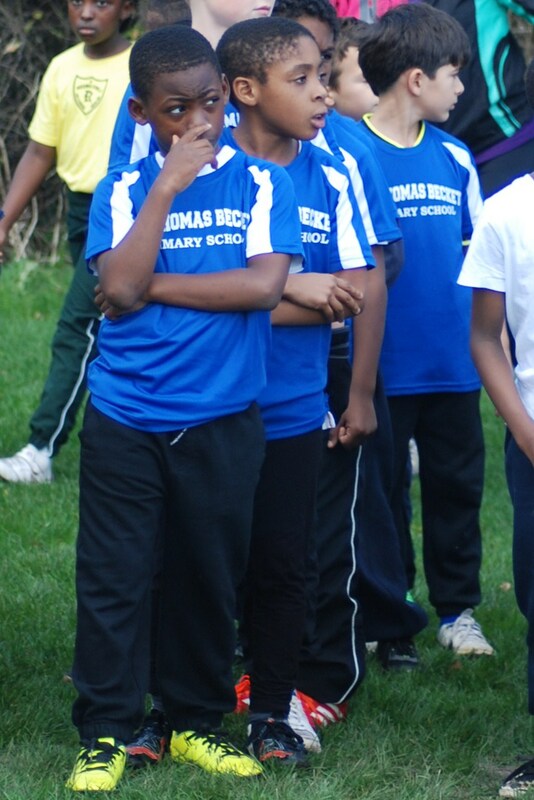 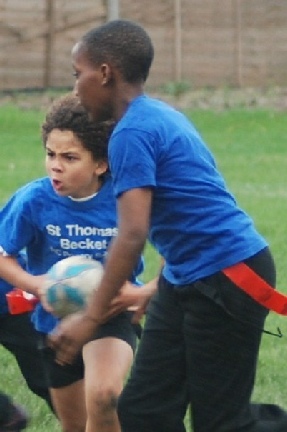 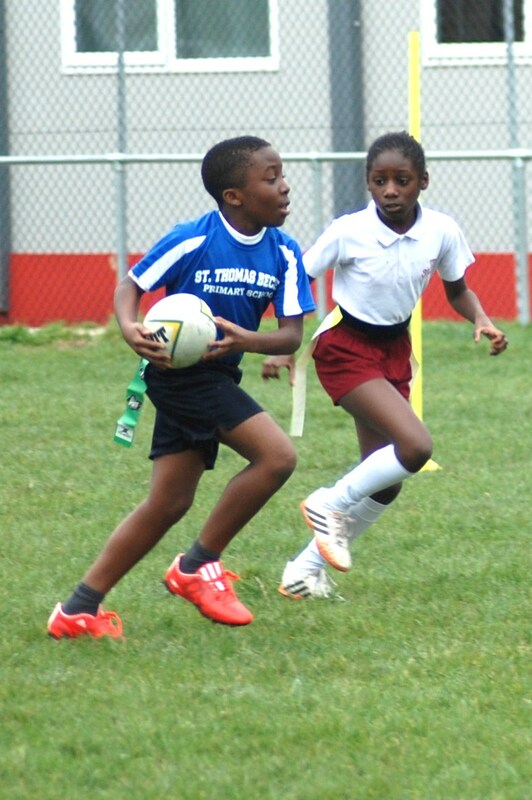 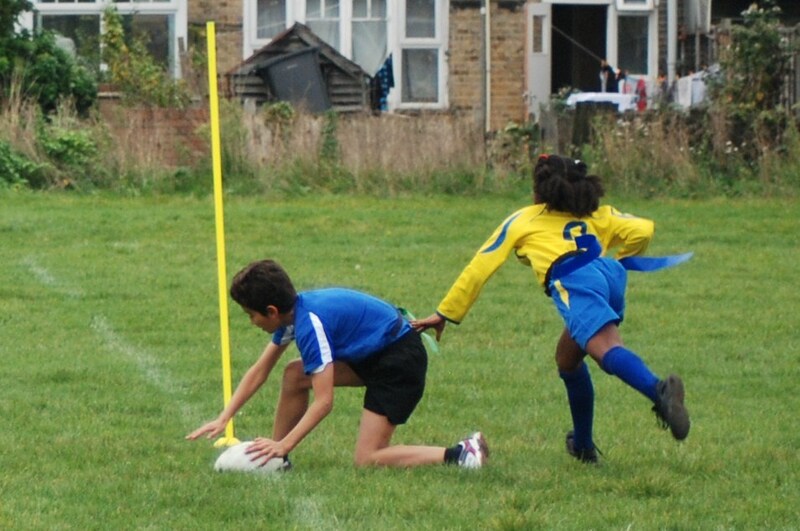 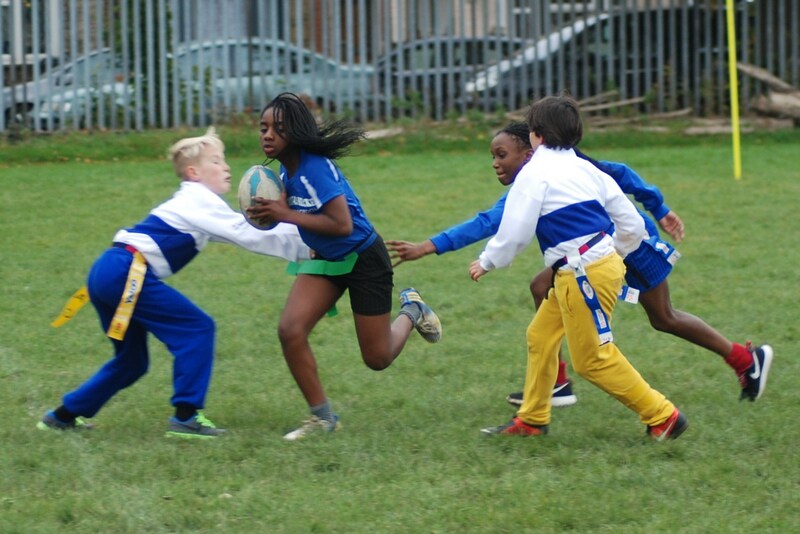 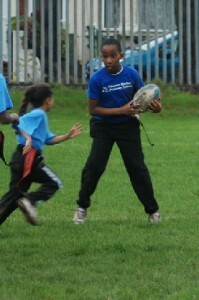 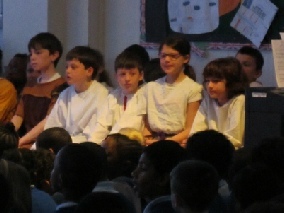 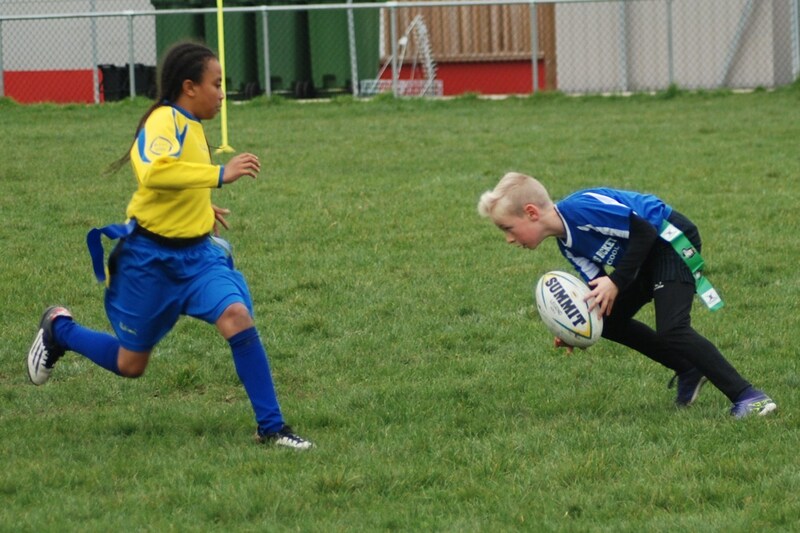 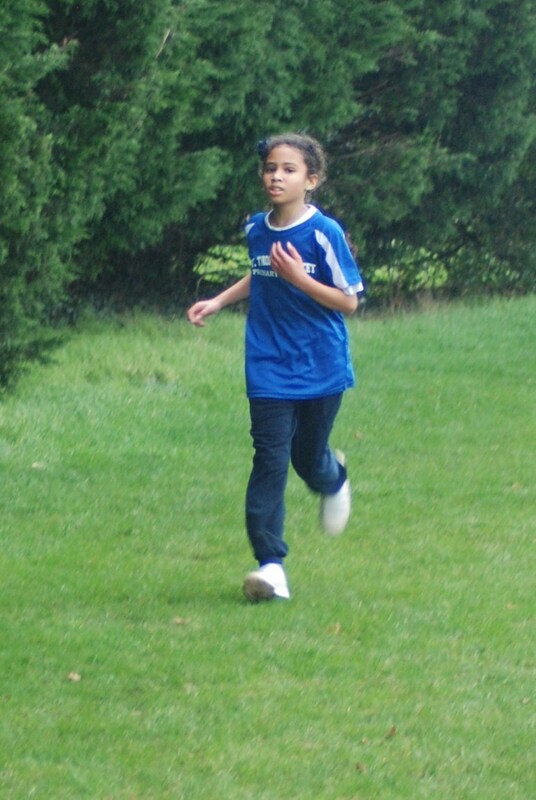 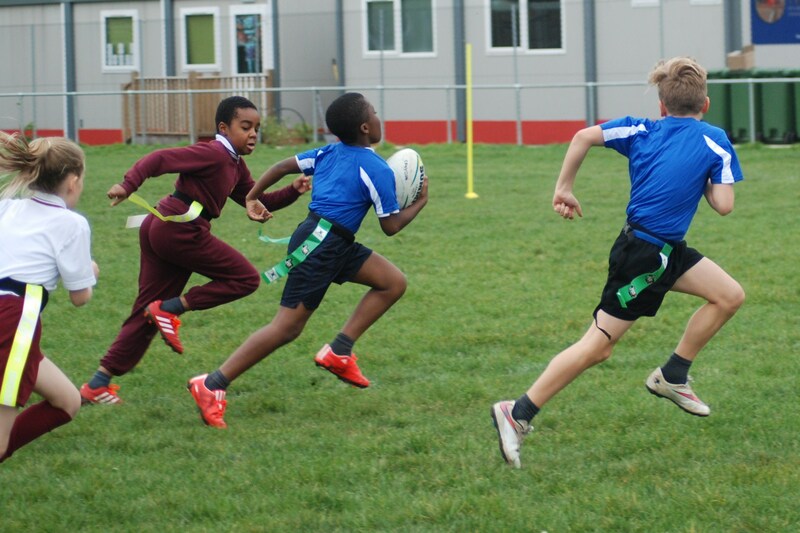 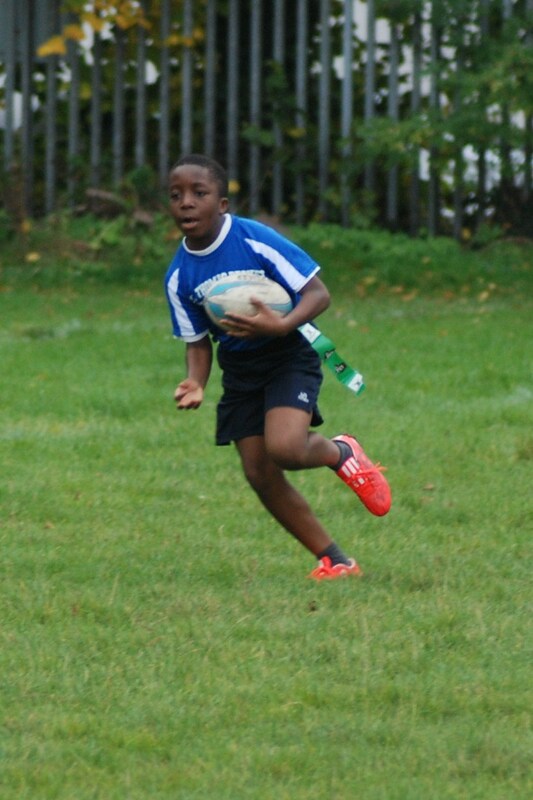 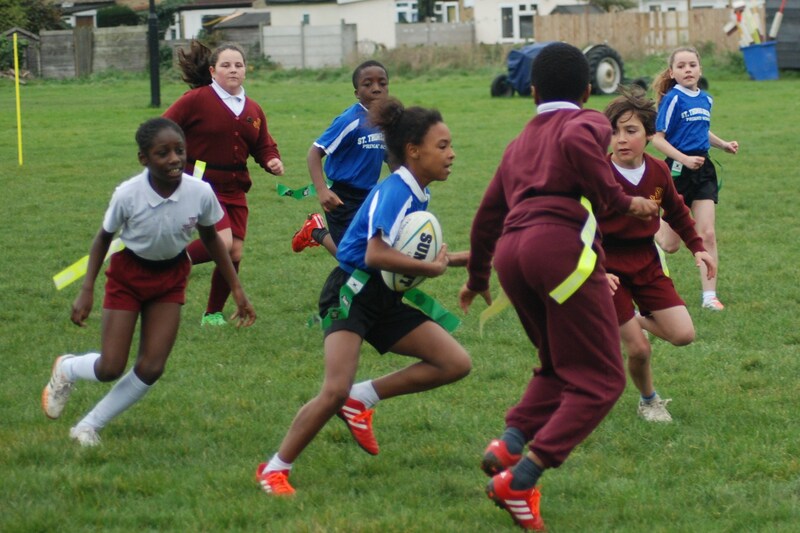 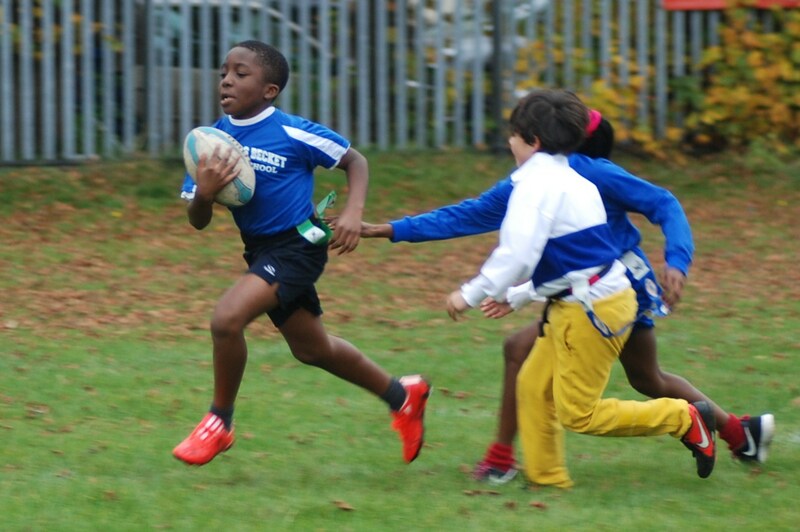 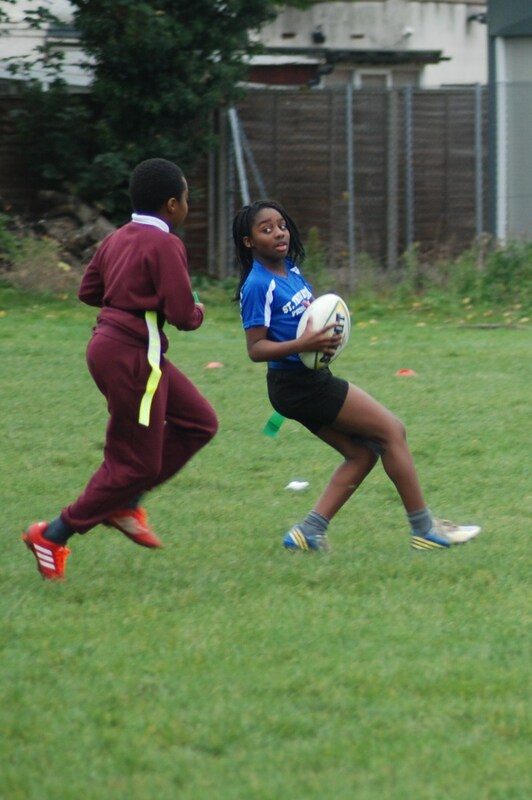 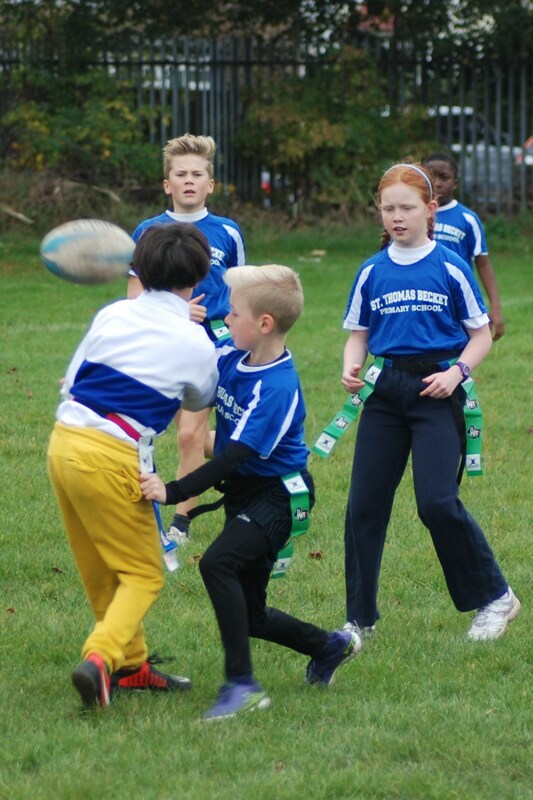 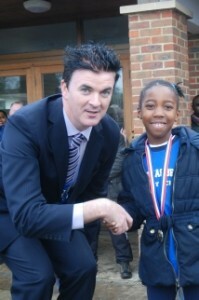 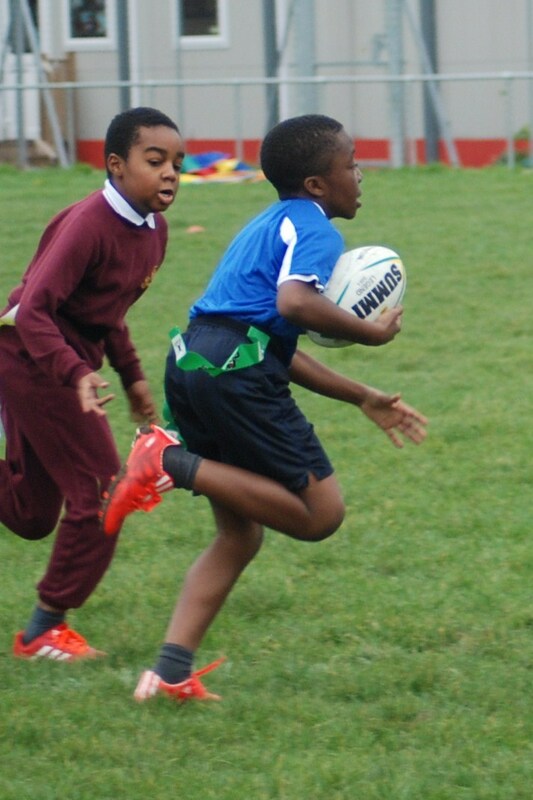 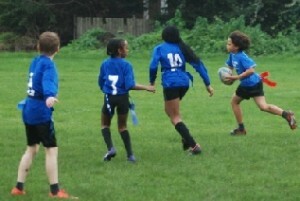 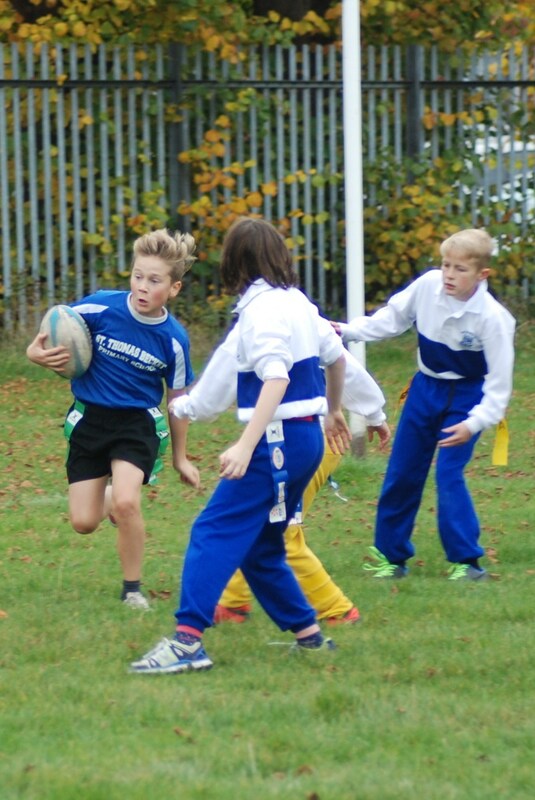 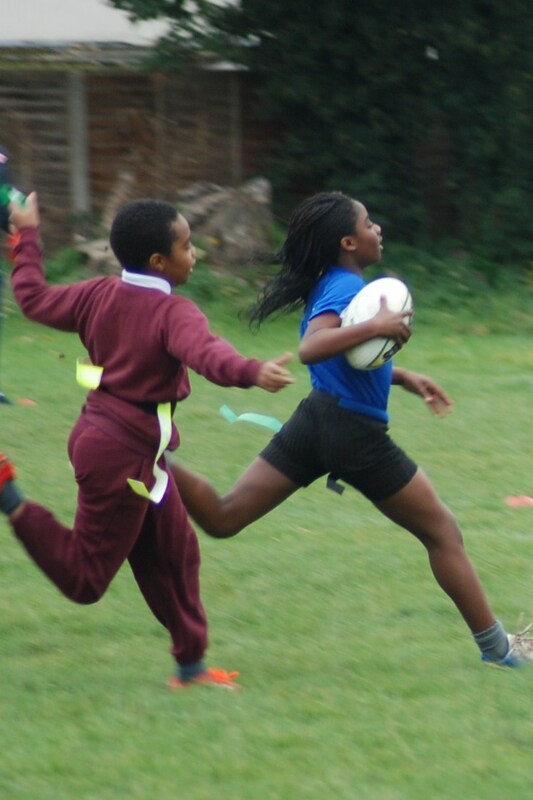 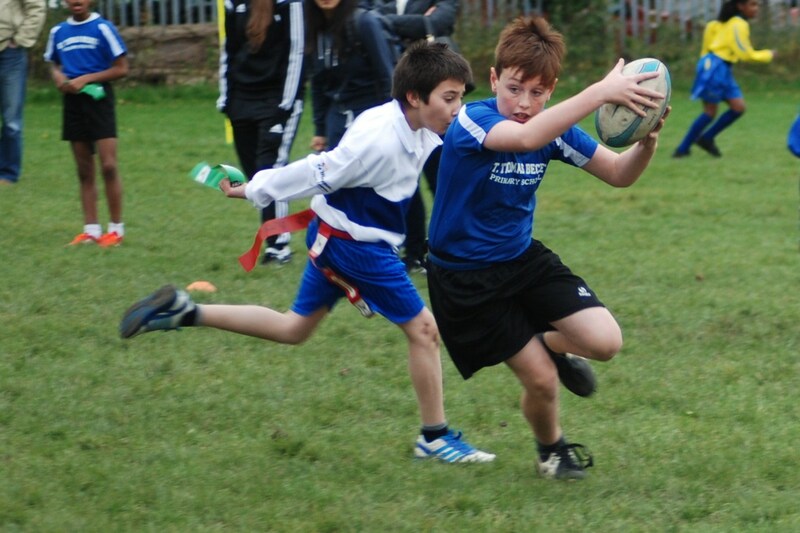 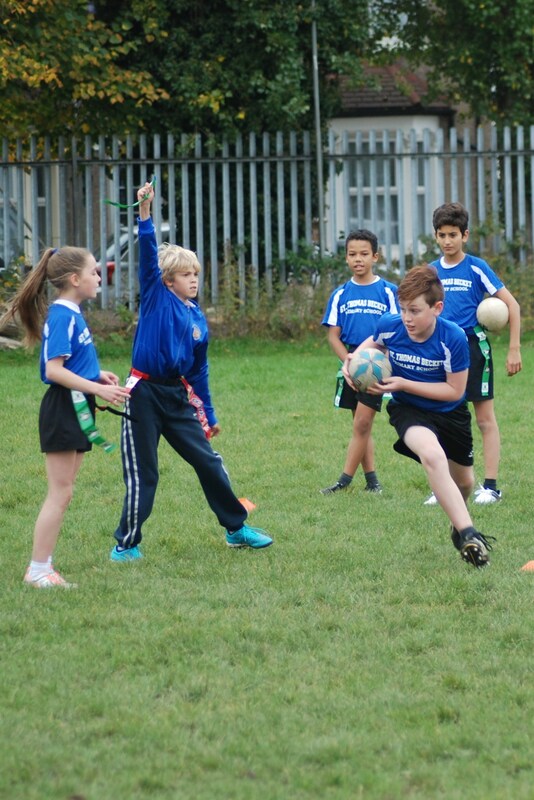 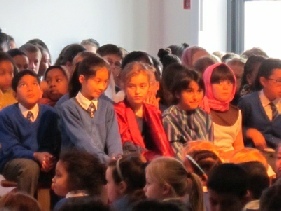 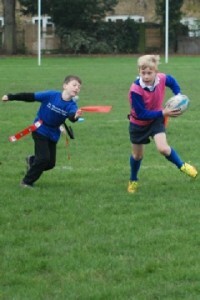 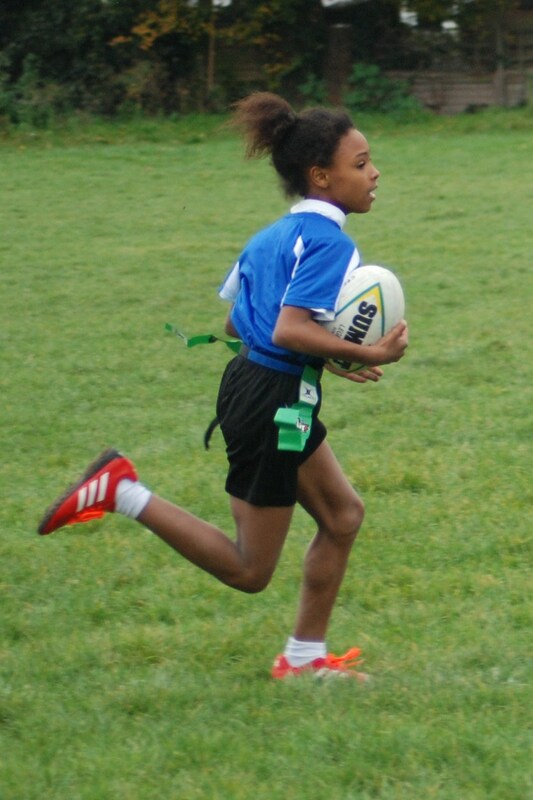 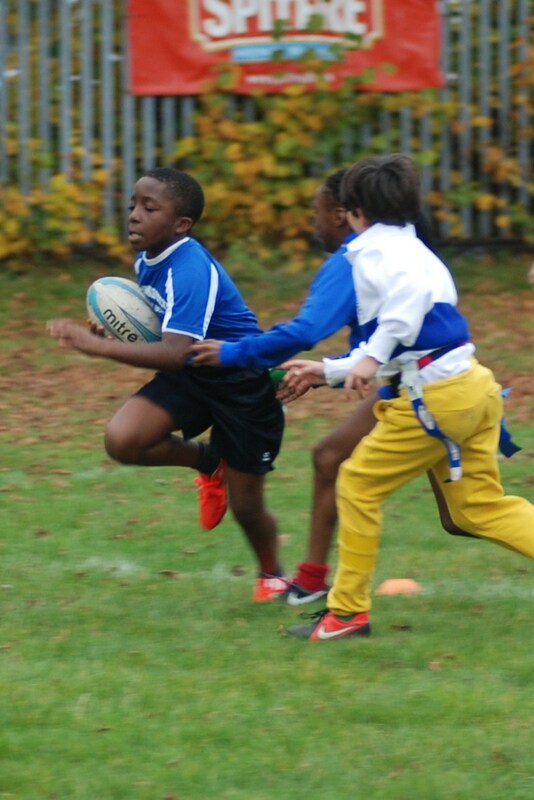 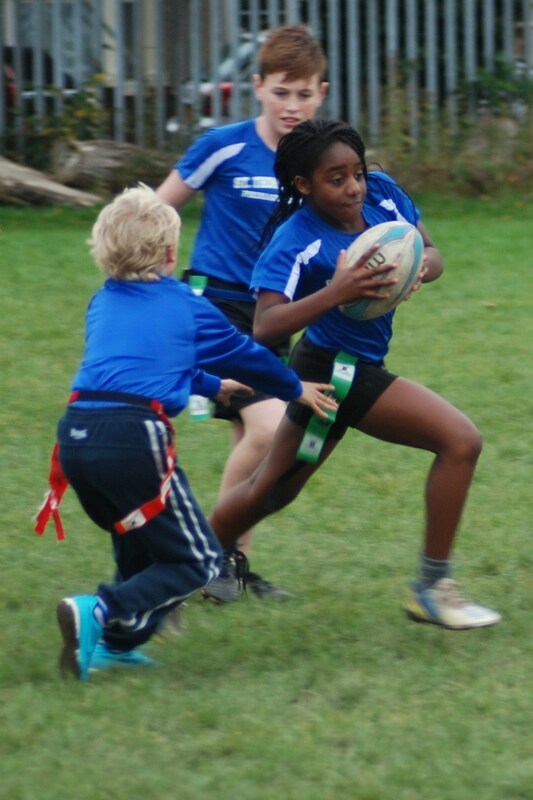 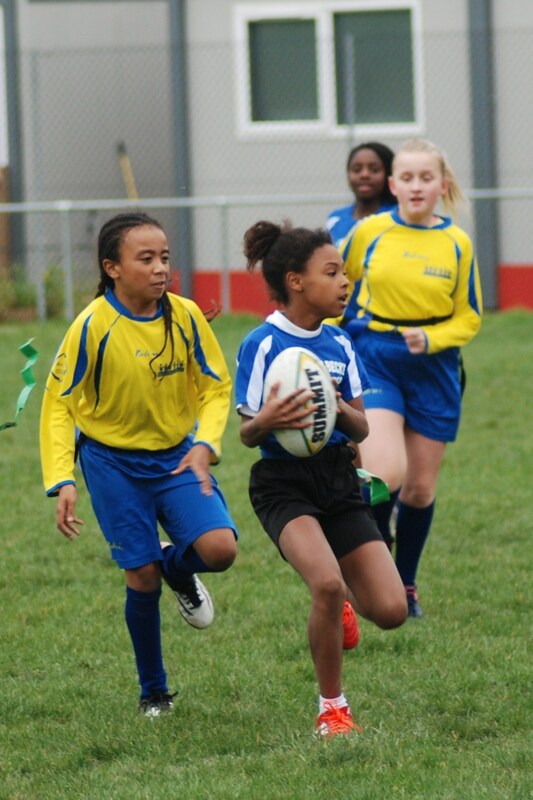 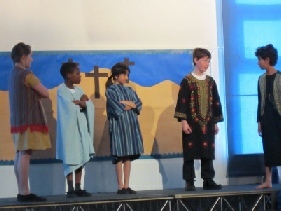 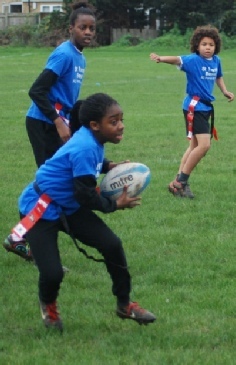 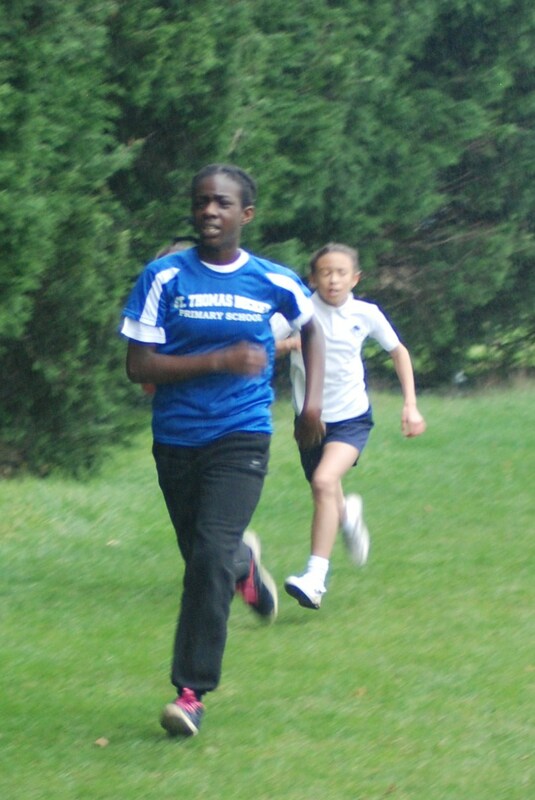 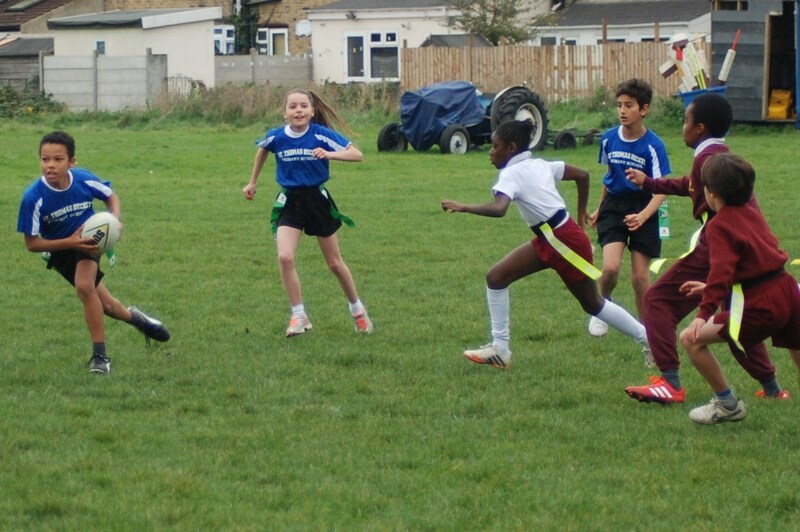 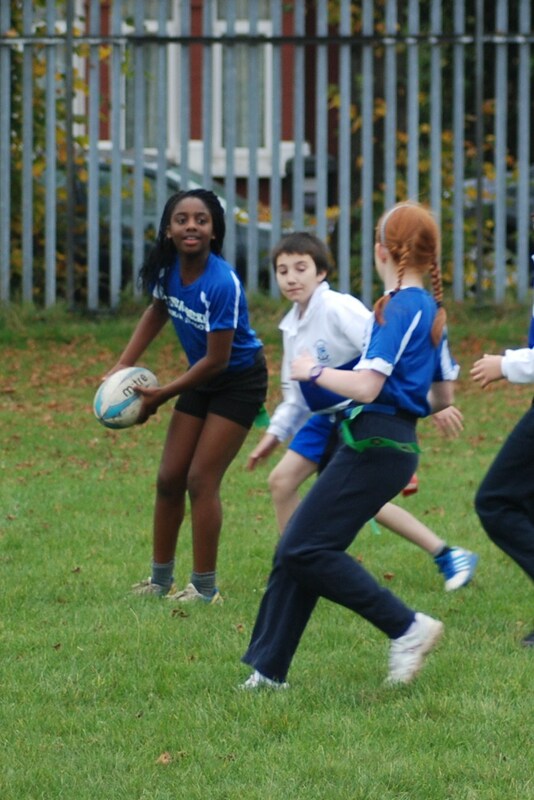 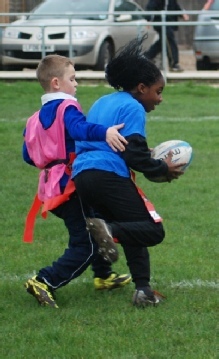 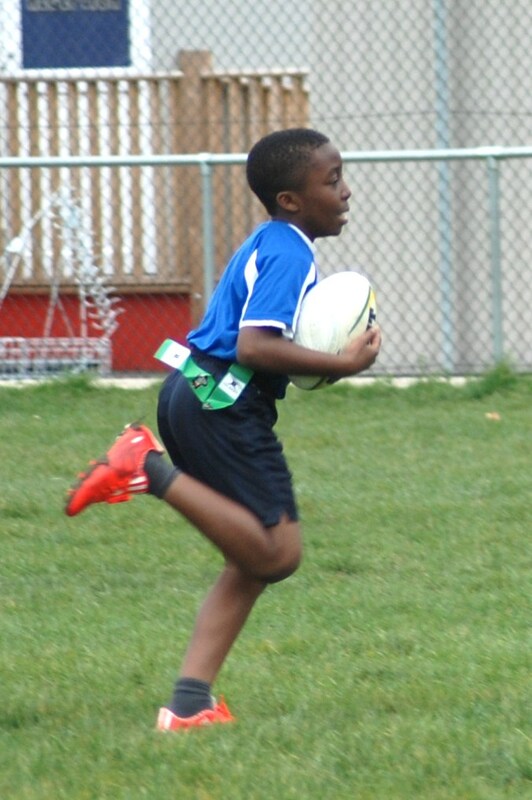 The competition was open to all Croydon schools and the children had a great time (as you can see from the pictures)! 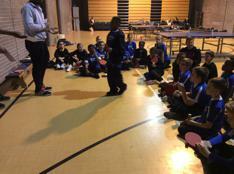 The team was triumphant and came first overall! 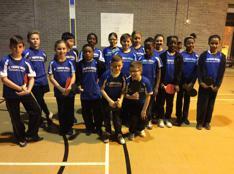 Well done to the first ever Becket Table Tennis Team! 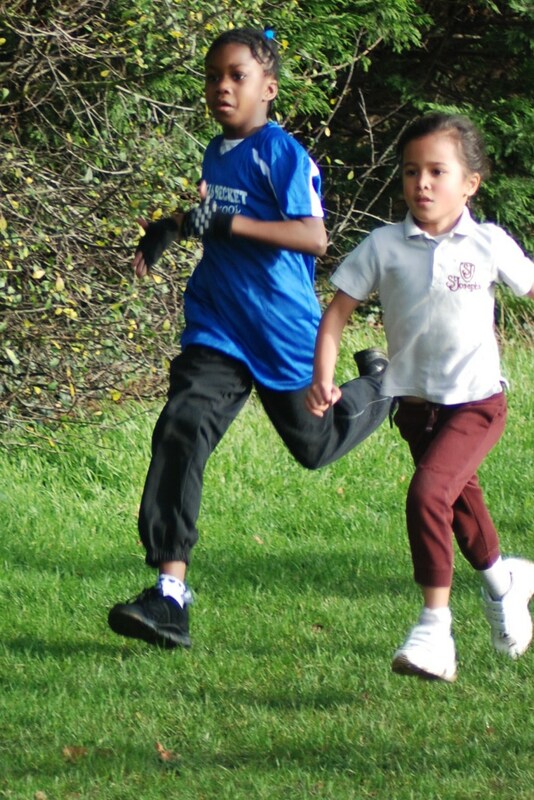 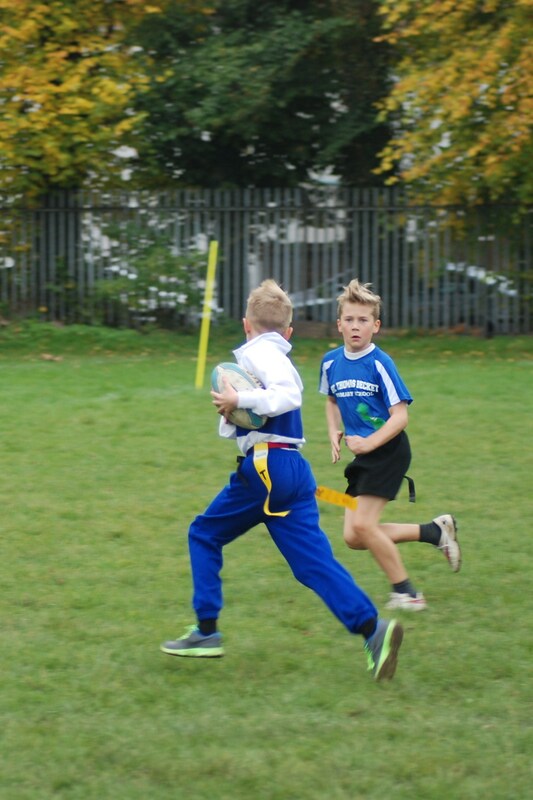 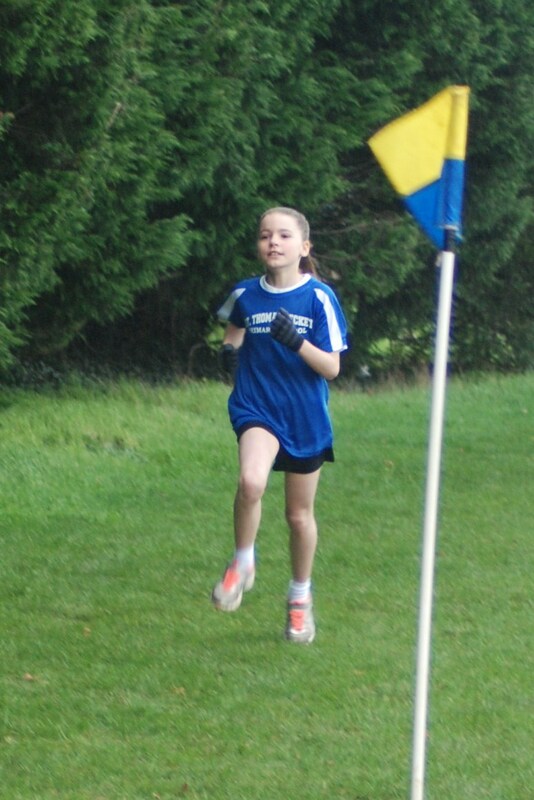 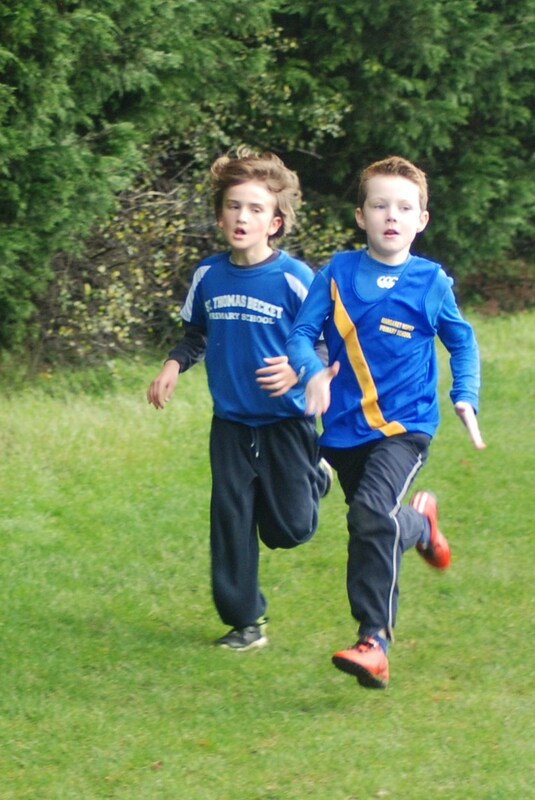 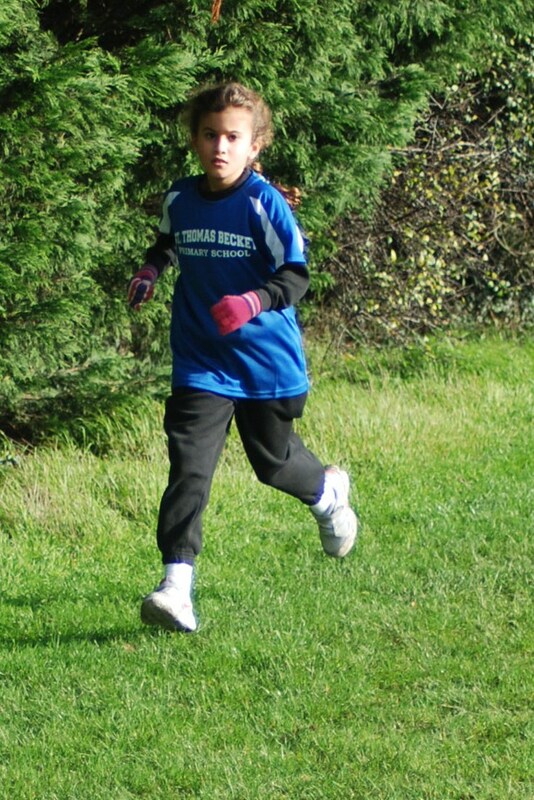 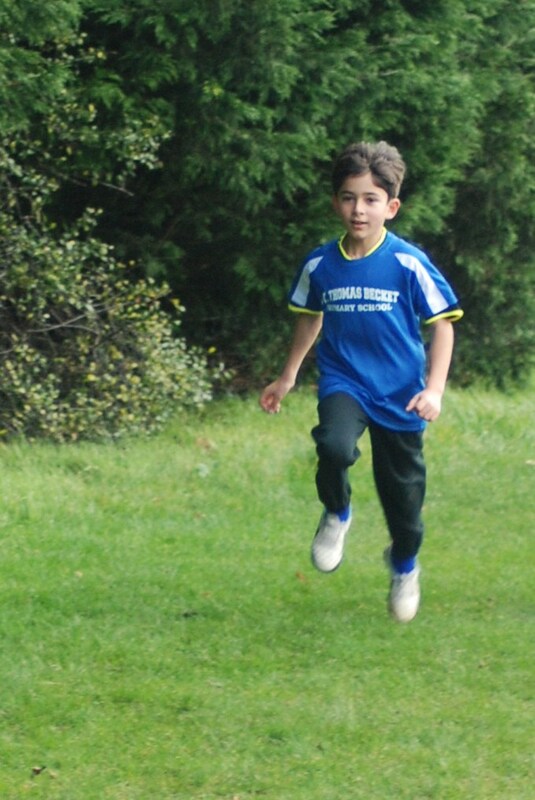 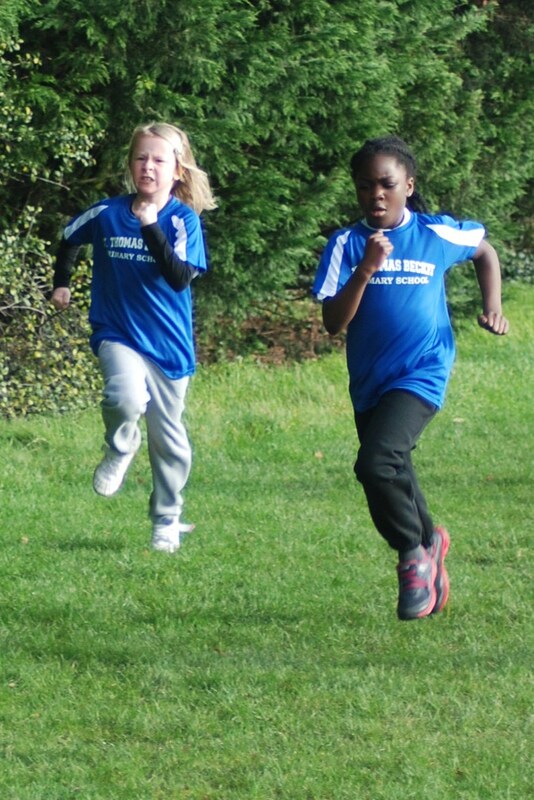 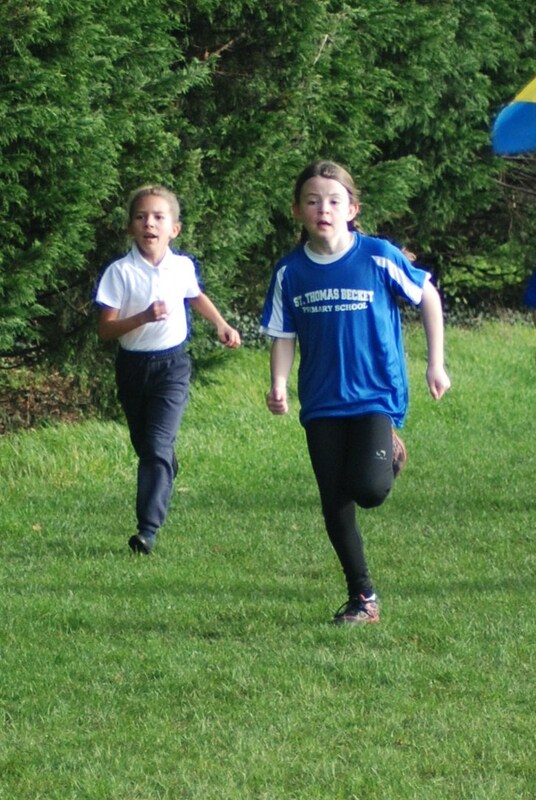 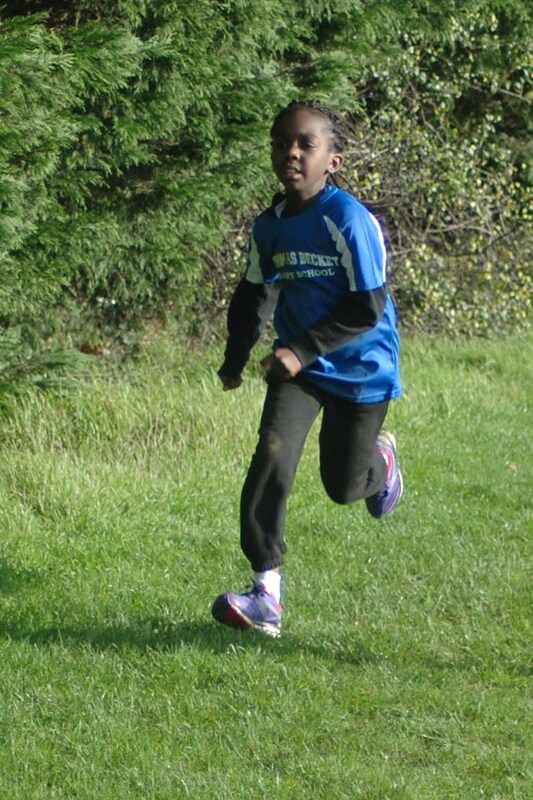 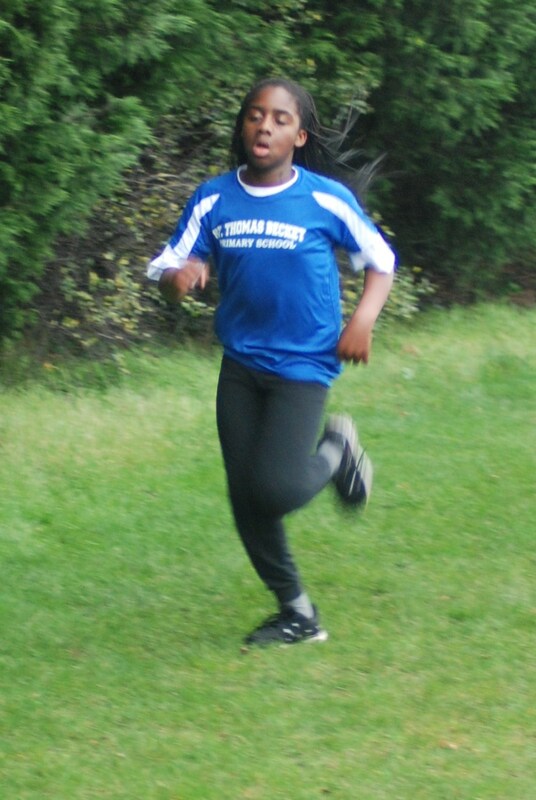 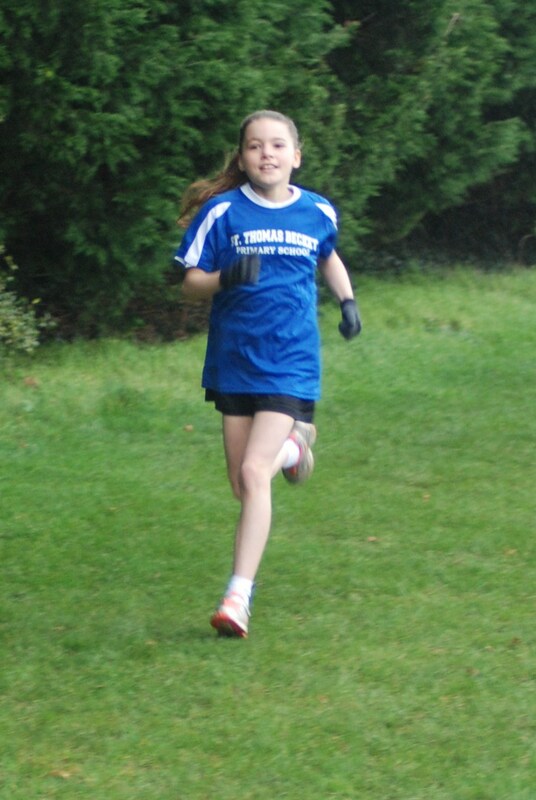 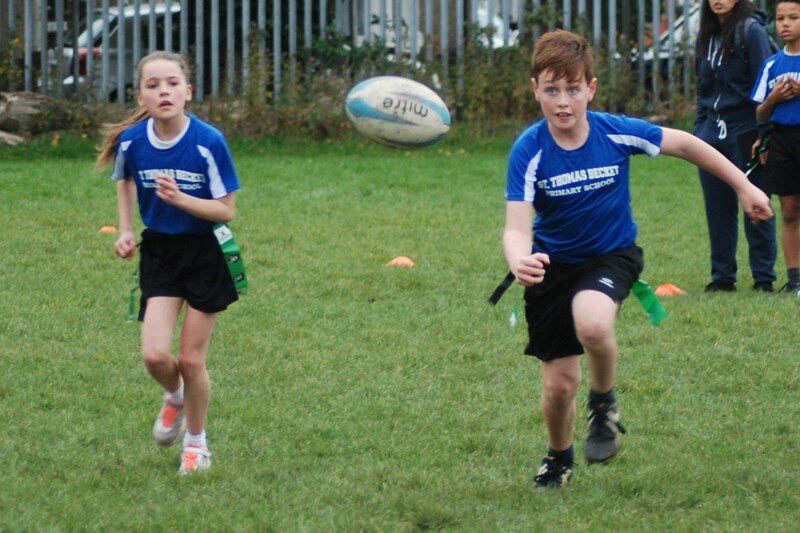 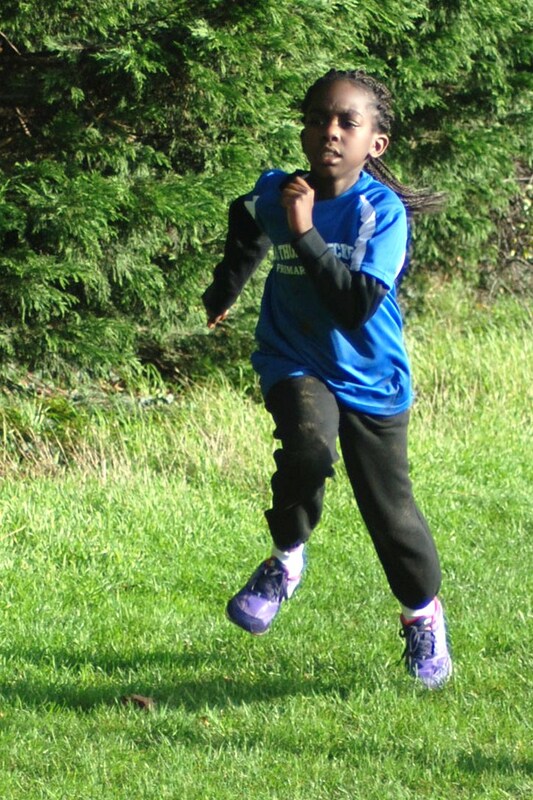 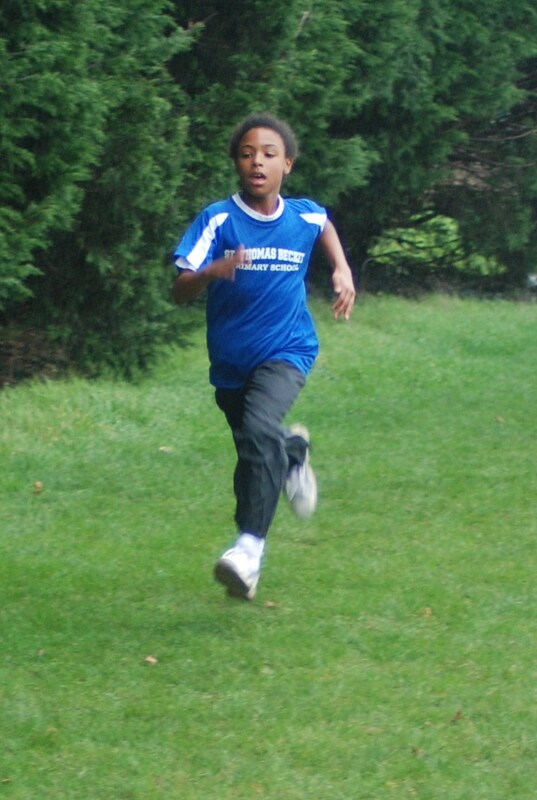 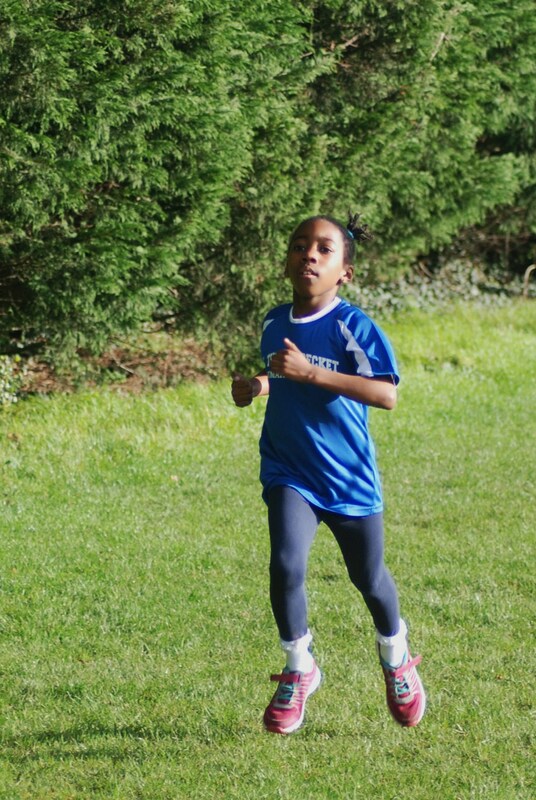 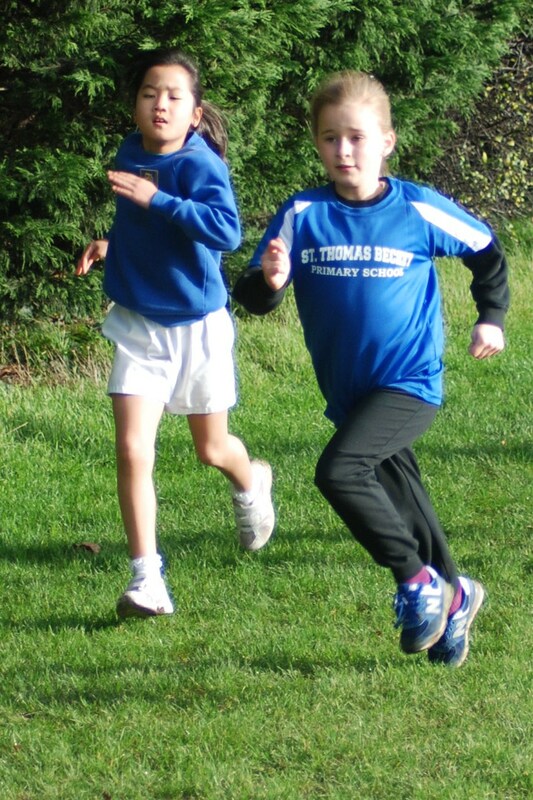 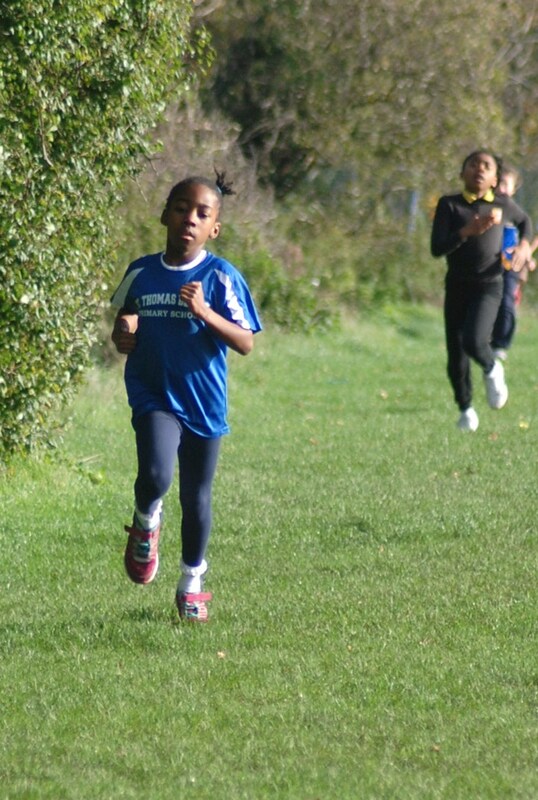 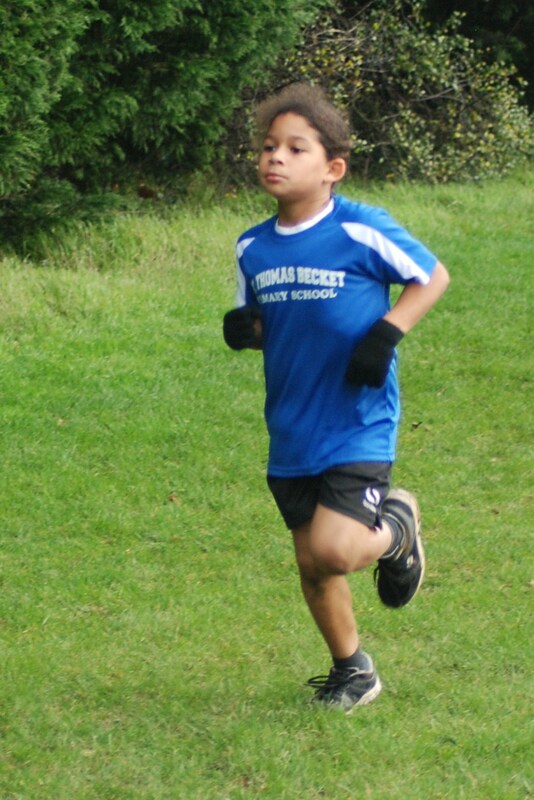 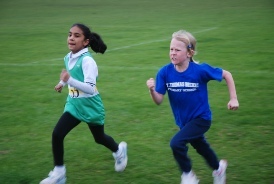 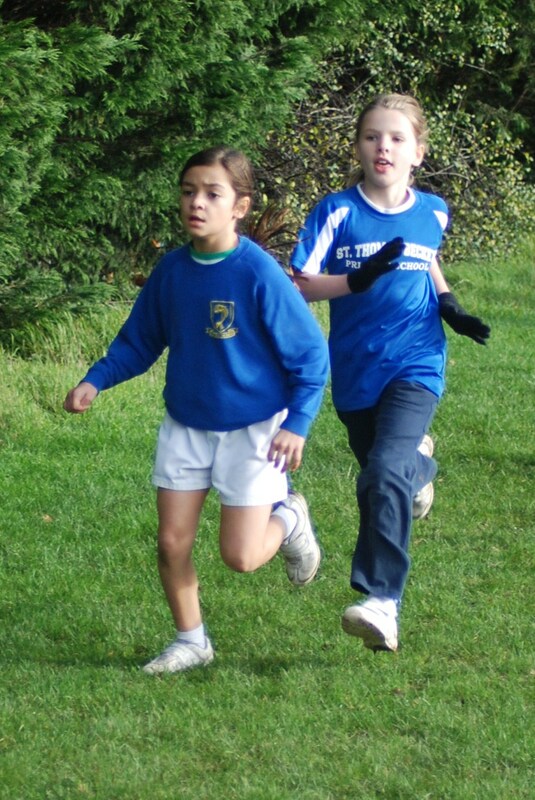 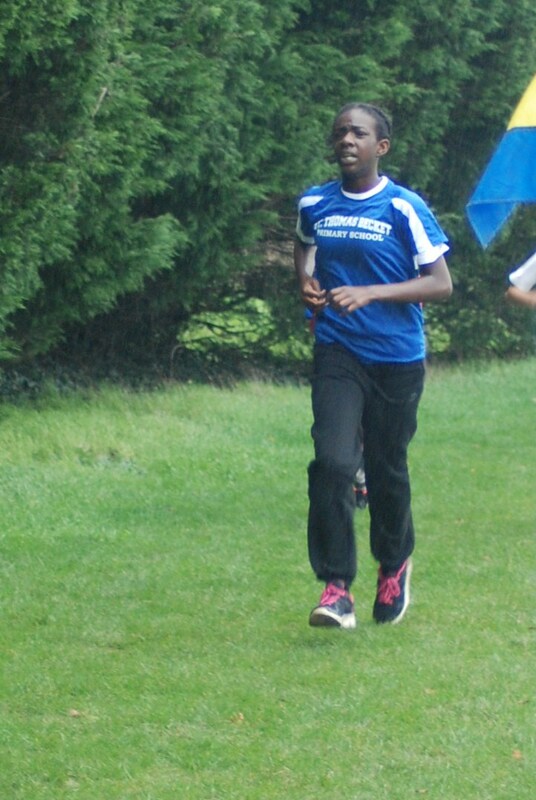 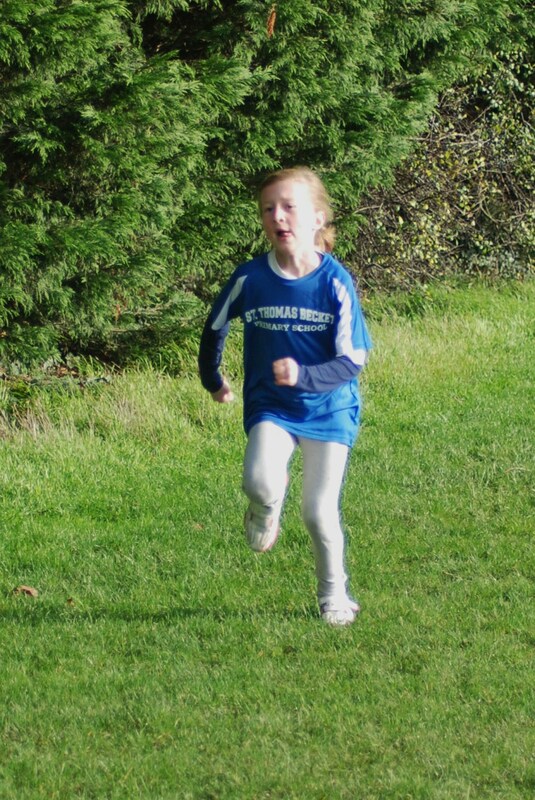 Congratulations to our 40 cross country runners who took part in the Catholic cross country event at John Fisher School on Thursday 12 November. 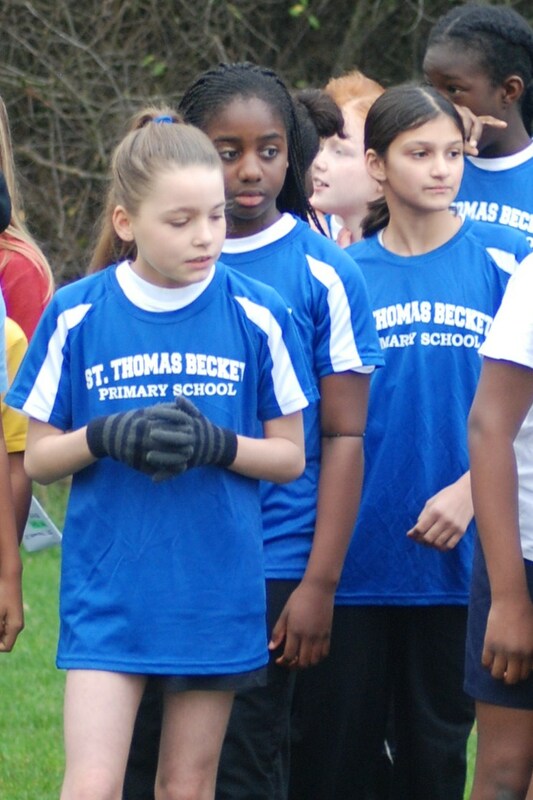 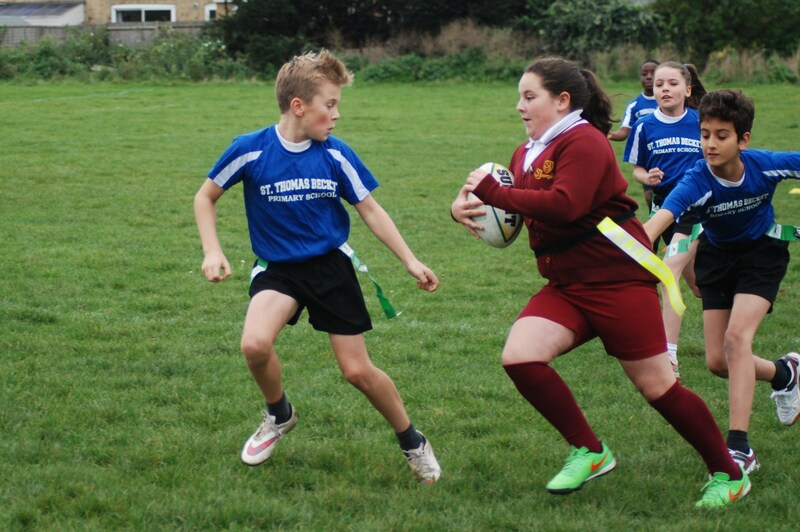 In all ten schools competed and St Thomas Becket were just pipped at the post to earn 2nd place overall. 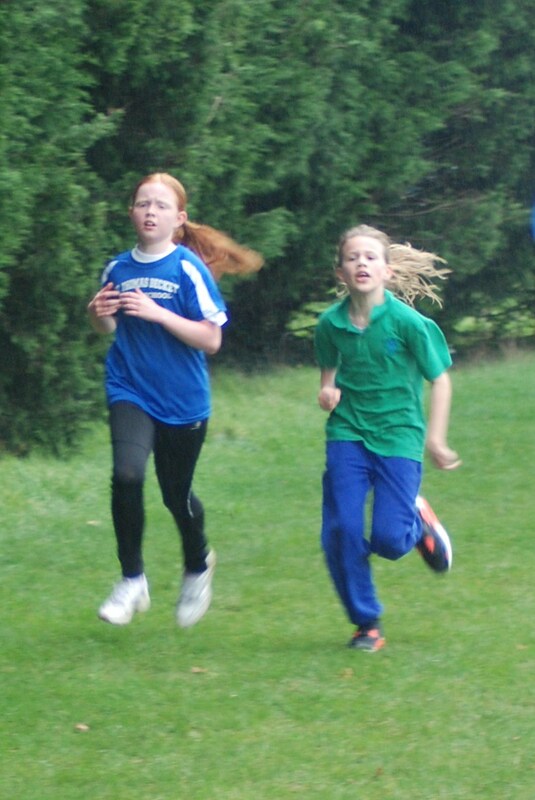 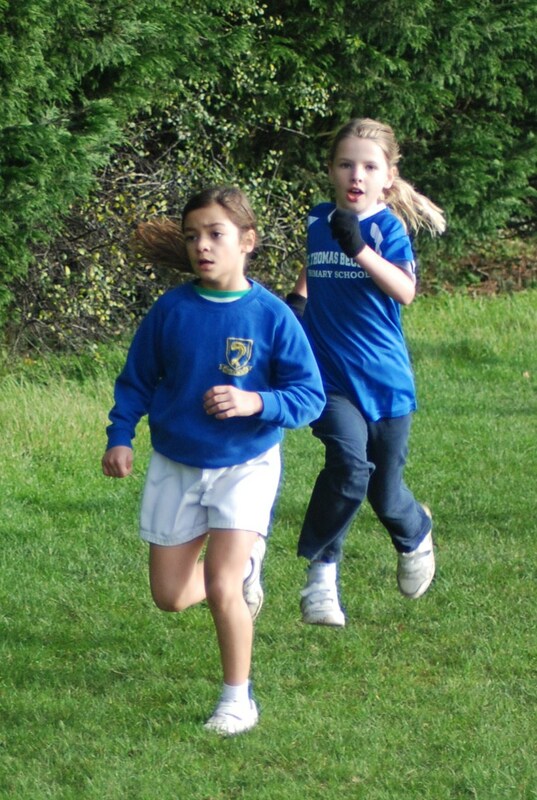 While all the children performed superbly a special mention is deserved for Kacy Stumke (5/6 girls) and Gracelyn Kendeck (3/4 girls) who gained second place in their respective races against fields of 100 runners. 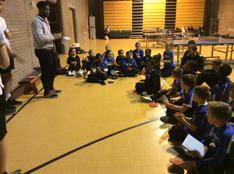 A big thanks to Miss Shaw, our PE leader, who trained the team in the lead up to this event. 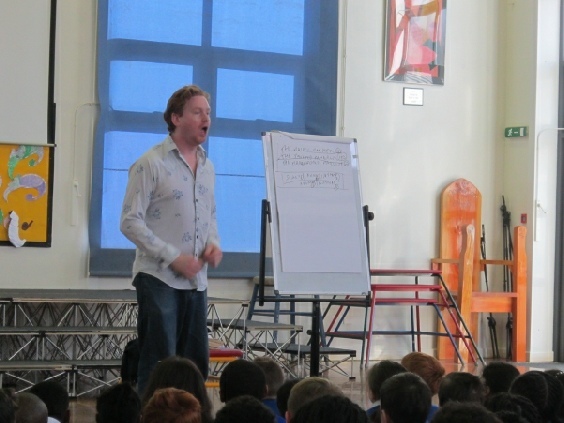 The children of St Thomas Becket Catholic Primary School in South Norwood were treated to a very special assembly this week as local author Ciaran Murtagh dropped in to talk about the art of writing a story. Ciaran has written a range of successful children’s books (Dinopants and the ‘Genie’ series to name a few) as well as being involved in writing scripts for numerous children’s Television programmes such as the animated Mr Bean. 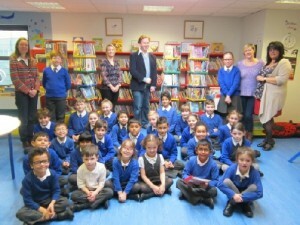 Through a fun and interactive assembly Ciaran gave his top tips on writing a great story and still found the time to open the school’s new library with the school council present at the opening ceremony. 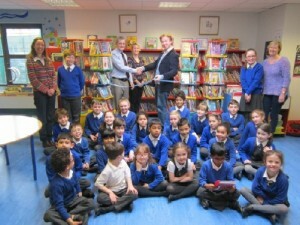 Many of the library books have been purchased through the fund-raising effort of the Parents’ Association and the school looks forward to the library continuing to develop as a place where the love of reading is fostered for all the children. 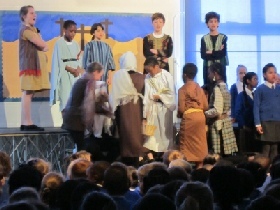 Our school choir and Year 5 children produced a powerfully moving portrayal of Christ's Passion this week which was performed both at school and at Our Lady of the Annunciation Church. 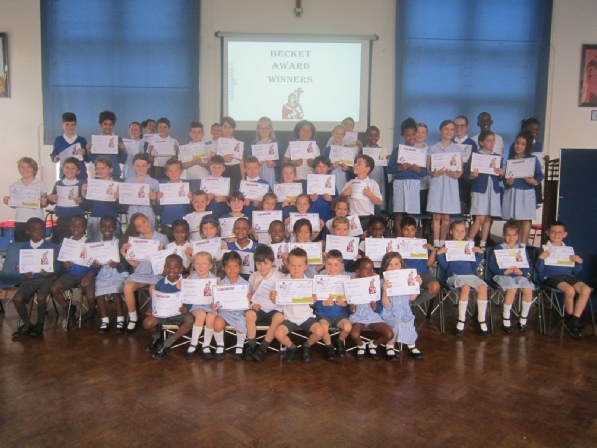 Well done to our BECKET AWARD winners for summer 2015. 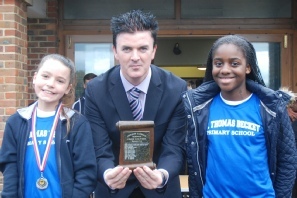 The children were awarded this award for demonstrating some of our Becket values which are outstanding Behaviour, Excellence in work, being Considerate and Respectful, always being Keen to improve, Exceeding expectations and being Truthful and Honest.